Lee McMunn. Lee was born in Scotland and lived in a small town outside Glasgow for most of his life. He moved to London when he was 17 to study for a Mathematics and Economics degree. He originally dreamed of working for an Investment Bank in order to earn lots of money. However, after becoming a Christian in London, Lee was encouraged to consider becoming a full-time Bible teacher. After a few years of training, Lee arrived in Hull in June 2005 and has been here ever since. He is currently responsible for St Faith’s and Riverside churches. Lee had the great joy of marrying Vicky on the 31st May 2008. Lee will teaching us from the book of Jonah: discover how the speaking God opens the mouth and shapes the heart of his disobedient prophet. Jonah has much to teach us about why we often stay silent about Jesus and how this situation can be gloriously changed. What does Lee sound like? 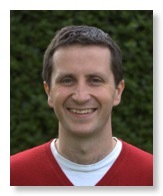 This is a sermon by Lee McMunn from the morning service on 4th July 2004. This year we're delighted to be running Derby Bible Week on Monday 11th to Thursday 14th April 2016 at two different times and in two different locations. We hope this will enable more people to be able to access everything that Derby Bible Week offers. There is a creche provided for pre-school children whose parent(s) are coming to Derby Bible Week in the morning. However places are limited, available on a first-come, first-served basis and must be booked. Please get in touch as soon as possible if you would like to book a place for your child in the creche.